Fashionistas in the 16-18th centuries were not so lucky. Fashion trends were slow to change and courtiers did not always have a huge say in what to wear to the royal ball. Although poorly enforced, sumptuary laws in Europe from the middle ages to the 18th century dictated the color and material of a courtier’s clothing. To separate the growing middle class from the nobility, these sumptuary laws imposed dress codes according to rank, gender, wealth, religion and even virtue. Queen Catherine De Medici: Fairy Godmother or Fashion Enforcer? 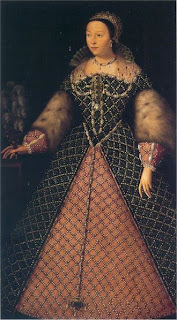 Although the origins of the corset are unknown, we can thank Queen Catherine de Medici for its rise in popularity. In an effort to distract the fractious Protestant and Catholic camps from tearing each other to shreds, Catherine used the most powerful peace keeping device at her disposal—pretty girls. 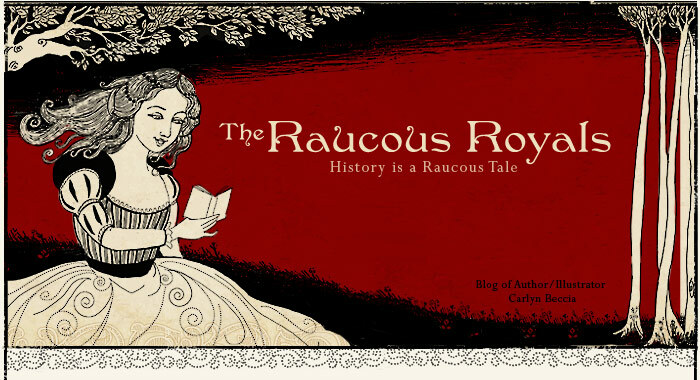 The clever queen surrounded her court with a bevy of beautiful, young servants called her “flying squadron.” These beauties were rumored to infiltrate the bedrooms of powerful nobles while secretly acting as Catherine’s spies. Go Catherine! But Catherine’s femme fatales also had to practically starve themselves to get their wastes down to the mandated 18 inches. Corsets lined with wood, iron and whalebone became the only means to reach pencil thinness. Soon, Catherine’s ladies were the envy of France. The nobility and even young children began corseting themselves to obtain the desired hour-glass shape. Catherine is also credited with the high heel shoe’s rise to fame. The legend goes that the young Florentine, bride to-be was nervous about her debut entry into the French courts. She needed to dazzle and shine. She needed the right shoes. The customary, chunky Chopins were simply the wrong shoe for the job (shown here). Enter Catherine’s cobbler who put a slender four-inch heel on Catherine’s shoe and elevated her to divine fashion status. The French court was impressed by Catherine’s stately bearing and soon copied their queen’s well-heeled sense of fashion. As mentioned in The Raucous Royals, the diminutive French King, Louis XIV later decreed that only he could wear red heels. Catherine’s contribution of high heels makes her go down as the fairy god mother of fashion, but we can’t forget about one of her smartest fashion innovations. Before Catherine, moms everywhere could not say, “don’t forget to wear clean underwear.” While women in Catherine’s court wore smocks and stays, they went commando under their skirts. The always modest queen preferred to get on and off her horse without giving a peep show so she started wearing long underpants. The ladies of Catherine’s court followed the queen’s example and started wearing fancy knickers too. For reasons that mystify me, the underwear trend didn’t really stick until after the French Revolution. 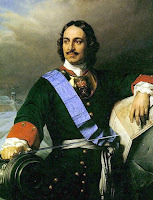 In gossip circles, Czar Peter the Great is best remembered for his party boy, vodka-drinking celebrity status in the Russian court. Sure… Peter might be caught in a pool of his own vomit, but you could never accuse the lusty czar of going unshaven. Peter saw beards as an outdated fashion and a symbol of Russia’s failure to move into the modern age. According to his "decree on the shaving of beards," men would be fined 30 rubles for any hair peccadilloes. He hated beards so much that he would rip them out by the roots if he caught anyone wearing one. It’s hard to picture Henry VIII without his plump belly. Clearly, the king got a little pudgy after becoming too old to chase the ladies. Or maybe…. he just got the wrong fashion advice on how to dress a big man? Too hide his expanding girth, Henry wore padded clothes with puffy sleeves. Now everyone knows, baggy clothes make you look fatter. But Henry’s real fashion crime was having the rest of his court follow his example. 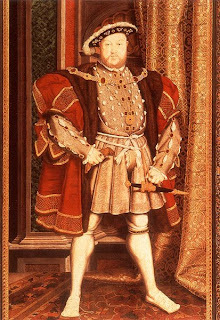 To show their respect, Henry’s courtiers started wearing padded clothing too, and a new trend was born—fat clothes! 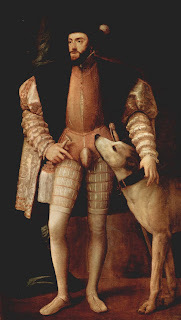 Henry also started the 16th century "my codpiece is bigger than yours" trend. A codpiece was basically a cup to cover up a man's private bits. It sort of looked like today's athletic cups accept it was worn on the outside of the clothing and was decorated with bows and jewels. (thus the term "family jewels.") Along with providing modesty, the codpiece doubled as a man purse for coins, small weapons and snuff. (Think of it as wearing boxers with a built in fanny pack.) Never one to seem small, Henry began padding his codpiece and his court followed suit. Soon, the once inconspicuous codpiece became a ridiculous bulge. If Henry VIII wins the award for worst baggy clothes in history then Napoleon wins the award for worst too tight fashion. I am talking about the Little Corporal’s tiny pants. Unfortunately for thousands of paintings that have survived, fat Frenchman during Napoleon’s reign chose to copy their emperor instead of allowing blood to their nether regions. Later in life, Napoleon looked especially ridiculous when he started to gain some weight and his pants left nothing to the imagination. But there is a silver lining to this tale of tight pants. It turns out that scientific researchers have had some use for Napoleon’s pants. 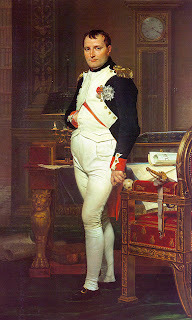 According to researchers, Napoleon breeches became a lot smaller in the last six months of his life. 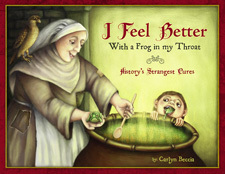 This supports the claim that he died of stomach cancer and not arsenic poisoning. Maybe his tight pants gave him cancer? 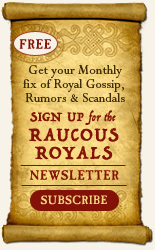 So those are some of my favorite fashion Do’s and Don’ts of royalty. Who is your favorite royal trendsetter? Stay tuned for Royal Trendsetters Part 2 where I will cover Marie Antoinette's big hair days and the history of the male periwig. Weir, Alison. Henry VIII and his Court. New York, NY: Ballantine Books, 2002. This was a great read!!! Thanks for sharing your research and insight.